We Encourage you to Explore more! Welcome to Butler County! Create your experience in our award-winning towns. Butler, the birthplace of the Jeep, was voted 7th Best Small Town in America by Smithsonian Magazine. Cranberry Township was voted Best Place to Raise Kids in Pennsylvania by Bloomberg Businessweek. 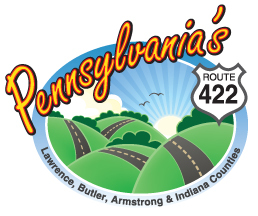 And that’s just the tip of the iceberg… Butler County is conveniently located north of Pittsburgh with easy access from I-79, I-80, the PA Turnpike and Routes 422, 19 and 8. There’s plenty to do, from exploring museums and art galleries to enjoying the breathtaking scenery of our parks and rolling countryside. Relax at the spa, hit the greens or do a wine tasting. You’re cordially invited to spend some time getting familiar with our fun and friendly county.